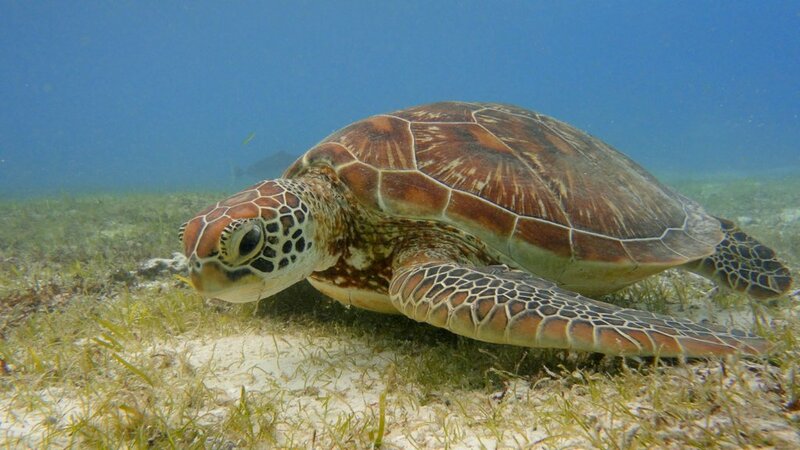 Our beloved residents and one of nature’s toughest survivors, sea turtles, have roamed the earth for over 120 million years, making the opportunity to snorkel and freedive with them close to Kudadoo truly fascinating. 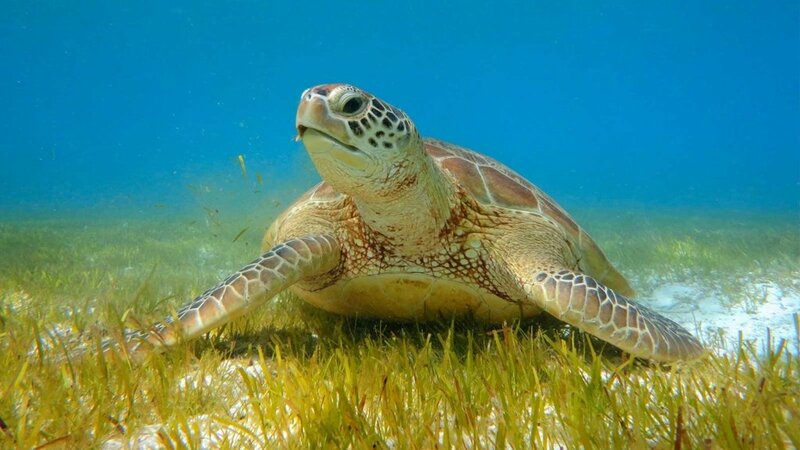 More than 170 turtles have been identified in a nearby lagoon and occasionally they can be spotted on Kudadoo’s own house reef, merely a few fin kicks from your residence. 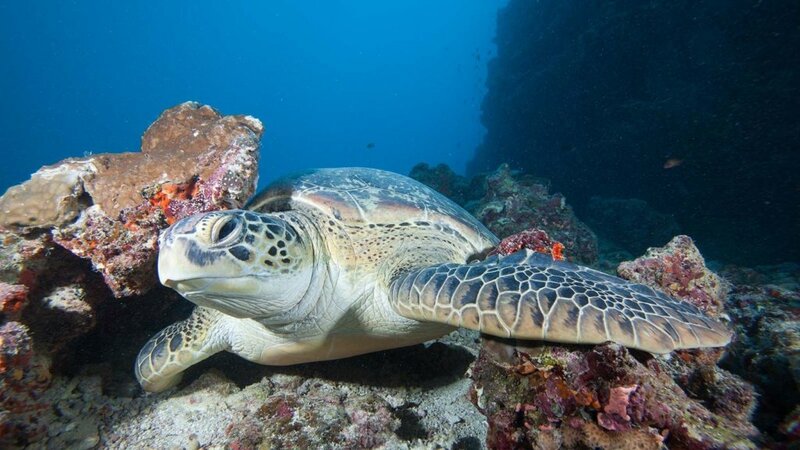 Few places in the Maldives offer such a variety of encounters as the waters around Kudadoo. 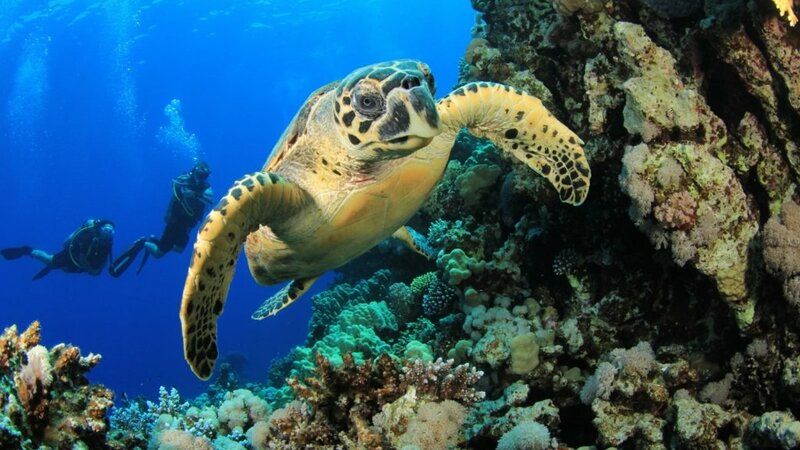 In addition to the larger green sea turtles – they are an endangered species that can weigh up to 230 kg – you can also keep your fingers crossed to snorkel or freedive with some of the 103 hawksbill turtles that have been identified so far in the atoll. 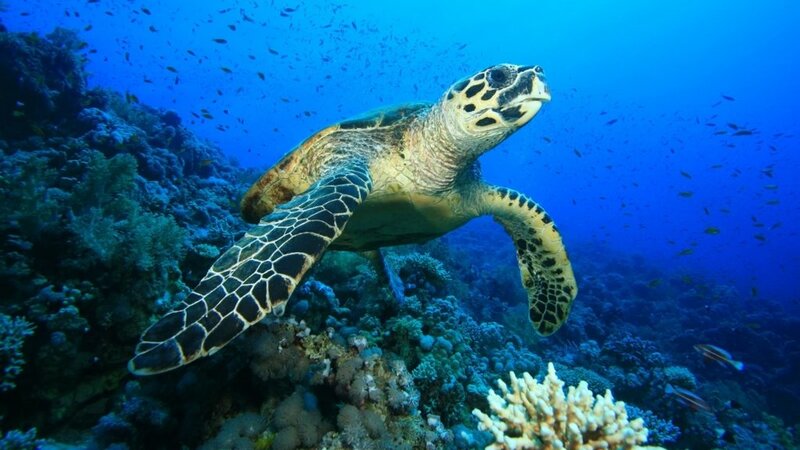 Explore Kudadoo’s reef on your own with your snorkelling partner or have your diving butler or marine biologist take you to sea turtle hotspots with a jet ski or speedboat. Stops at turtle-rich lagoons can also be made as a part of your private luxury sailing.